WASHINGTON, D.C., May 9, 2018 — New technologies for mobile devices may use ultrasonic sound waves for a variety of purposes, from charging your phone when you enter your room to collecting data on which advertisements you watch. Pest deterrents, dog controllers, some automatic sliding doors, public address voice alarms — and even a device marketed in the U.K. as a teenager repellant to keep kids from loitering outside storefronts — also emit ultrasound at different frequencies. These devices have varying effects on different subsets of the population, and many of these are covert, or inaudible, so the public usually doesn't know when they are exposed. Regulation of these emerging technologies is in many ways "the wild west," according to Timothy Leighton at the University of Southampton, who wrote a guide for moving forward in today's new world of ultrasonic exposure. His work outlines a logical approach for advancing research on ultrasonics. "I looked at all this stuff, and I said, 'This is an amazing detective story,'" Leighton said. "I began to pull together a picture that, in fact, the public was being exposed." Leighton is an expert in ultrasonics and underwater acoustics, who analyzed the landscape of ultrasonic regulations. He discovered a string of regulations that were all based on insufficient data, but had been shared around the globe. "It was extraordinary when you opened up this topic," Leighton said. He found that many national safety guideline limits could be traced back to a handful of studies performed in the 1970s on "a small number of adult men, many of whom had experienced gunfire, some of whom had worked in the rock-n-roll hi-fi industry… So it was inadequate data on which to base standards." Emerging technologies are often marketed as harmless in terms of emitted ultrasound. Ultimately, Leighton found that these claims are not based on any scientific evidence. He found a series of anecdotal complaints, ranging from nausea and dizziness to irritability and ringing ears, that were attributed to ultrasound exposure. However, there is little data in this field, partly because studies to test exposure on humans could be unethical. So, obtaining data from human subjects will require innovative approaches to research. 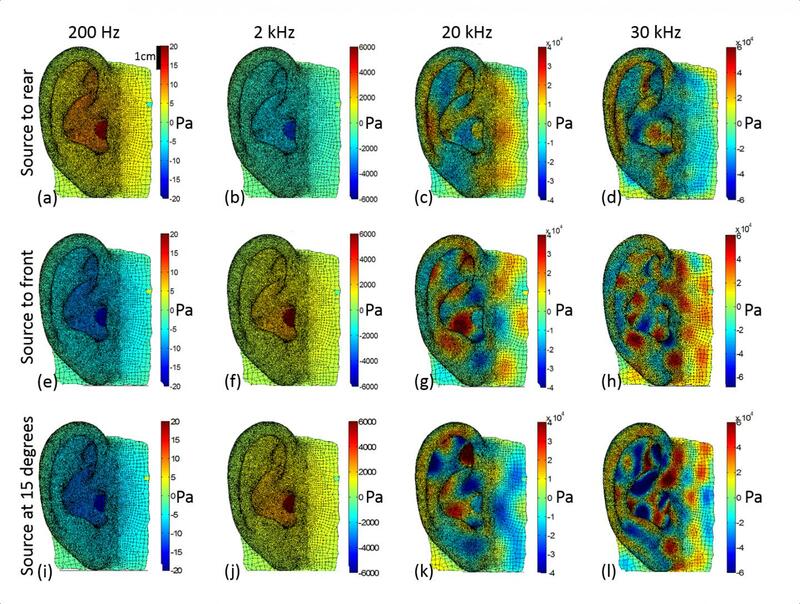 Leighton will describe his work uncovering the strange history and uncertain future of the use of ultrasonic sound waves during the 175th Meeting of the Acoustical Society of America, to be held May 7-11, 2018, in Minneapolis, Minnesota. He will also discuss why the 2017 incident in Cuba — when U.S. embassy workers experienced strange symptoms of hearing loss and confusion — was unlikely to have been caused by ultrasound. "I think 70 years is too long to go with inappropriate guidelines," Leighton said. "If it's public exposure, you're going to have children and newborns exposed as well, and we have no information whatsoever on how safe it is for them." Presentation 3pPA1 "Ultrasound, human health, safe levels, and Cuba: What do we know?" by Timothy Leighton is at 1:05 p.m. CDT, May 9, 2018 in room Greenway J at the Hyatt Regency Minneapolis. The meeting is being held May 7-11, 2018, in Minneapolis, Minnesota. In the coming weeks, ASA's Worldwide Press Room will be updated with additional tips on dozens of newsworthy stories and with lay language papers, which are 300- to 500-word summaries of presentations written by scientists for a general audience and accompanied by photos, audio and video. You can visit the site during the meeting at http://acoustics.org/current-meeting/. We will grant free registration to credentialed journalists and professional freelance journalists. If you are a reporter and would like to attend, contact Emilie Lorditch ([email protected], 301-209-3029), who can also help with setting up interviews and obtaining images, sound clips or background information. A press briefing featuring a selection of newsworthy research will be webcast live from the conference on Tuesday, May 8, 2018; register at http://aipwebcasting.com/webcast/registration/518asa.php to watch online. Topics and times to be announced. Does HPV vaccination prevent the development of cervical cancer?